In November, the month of All Souls, we remember our faithful departed. As Catholics, we believe, in accord with scripture and tradition, that praying for the dead is “a holy and pious thing…that they might be delivered from their sins” (2 Macc. 12:45). 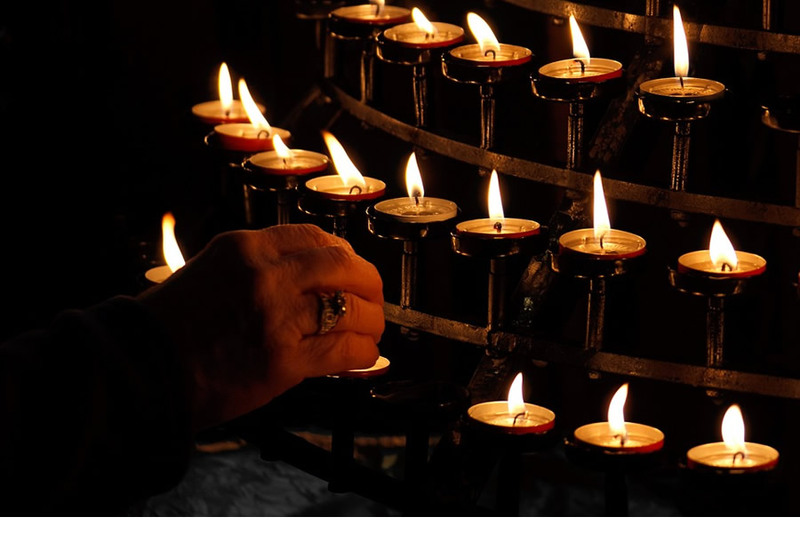 As we conclude the Jubilee Year of Mercy, we offer a “spiritual work of mercy” by praying for the faithful departed in our All Souls Day Novena, from All Souls Day, Wednesday, 2 November, through Thursday, 10 November. On each of the 9 days of this Novena, the Holy Sacrifice of the Mass will be offered at Saint Anne’s for the Holy Souls in Purgatory, especially for your family members and loved ones who have died.